Sheikh Abdul Qadir Jelani ‎رضي الله عنه was a noted Hanbali preacher, Sufi sheikh and the eponymous founder of the Qadiri Sufi order (selsela). 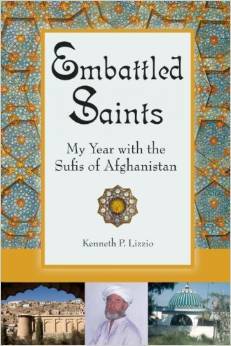 He was born in Ramadan AH 470 (about AD 1077) in the Persian province of Gilan (Iran) south of the Caspian sea. His contribution and renown in the sciences of Sufism and Sharia was so immense that he became known as the spiritual pole of his time, al-Gauth al Azam (the “Supreme Helper” or the “Mightiest Succor”). His writings were similar to those of al-Ghazali in that they dealt with both the fundamentals of Islam and the mystical experience of Sufism. Abdul Qadir Jilani ‎رضي الله عنه was a Sufi master and Syed (descendant of the Prophet Muhammad) from both his father and mother. His father Abu Saleh Jangidost‎ رحمتہ اللہ علیہ, was an illustrious and God-fearing man. Once while engrossed in meditation by the bank of a river he saw an apple floating down the river. He picked it up and ate it. It struck to him that he ate the apple without paying for it so he set out in search of the owner, on the bank of the river and at last reached the owner of the apple orchard “Abdullah Somai‎ رحمتہ اللہ علیہ” whom he requested to tell him the price of the apple, Abdullah Somai ‎رضي الله عنه replied that it was an expensive thing. Syed Abu Saleh‎ رحمتہ اللہ علیہ replied that he had not much by way of worldly material but he, could serve him for compensation. Abdullah Somai‎ رحمتہ اللہ علیہ then asked him to work for a year in the orchard. In course of time the duration was extended several times. In the end Abdullah Somai‎ رحمتہ اللہ علیہ admitted that he had served him in excess of the price and desired to reward him. Abu Saleh‎ رحمتہ اللہ علیہ hesitated in accepting it but when Abdullah Somai‎ رحمتہ اللہ علیہ persisted, he relented.He said he had a daughter, blind of eyes, handicapped of hands and feet and wanted to give her in marriage to him. In this way Abu Saleh‎ رحمتہ اللہ علیہ was married to Abdullah Somai’s‎ رحمتہ اللہ علیہ daughter, Syeda Fatimah ‎رحمة الله عليه. To his astonishment found her wondrously beautiful and wholesome. He complained to his father-in-law that he found her exactly the opposite to what he had described her. Abdullah Somai‎ رحمتہ اللہ علیہ insisted on the truthfulness of his statement. She was blind because she had not seen any Ghair Mehram (a man who could marry her). She was mute because she had not uttered a word repugnant to the Shariah (Islamic law). She was deaf because she had not heard anything inconsistent with the Shariah. She was handicapped of hand and feet because she had never moved in the direction of evil. Abdul Qadir Jilani’s ‎رضي الله عنه father died soon after and the young orphan was reared up by his mother and his grandfather, Abdullah Somai‎ رحمتہ اللہ علیہ. Hazrat Junayd Baghdadi‎ رحمتہ اللہ علیہ (died AD 910), who died about 167 years before the birth of Shaikh Abdul Qadir Jilani ‎رضي الله عنه, predicted about him on one occasion, when he was performing meditation & during that he said: “His foot will be over all Saints’ necks.” After finishing meditation, his disciples asked him about his words, he replied: “One Sufi would be born in the future, who would be greater than all saints.” Thus, Shaikh Hammad‎ رحمتہ اللہ علیہ proved the words of Hazrat Junayd‎ رحمتہ اللہ علیہ as right. 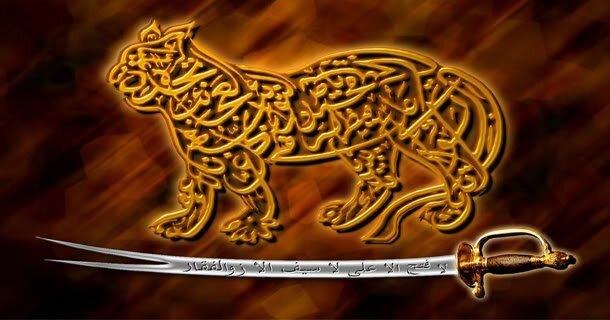 The historians says that, later Shaikh Abdul Qadir Jilani ‎رضي الله عنه also repeated the same words on many occasion by himself. 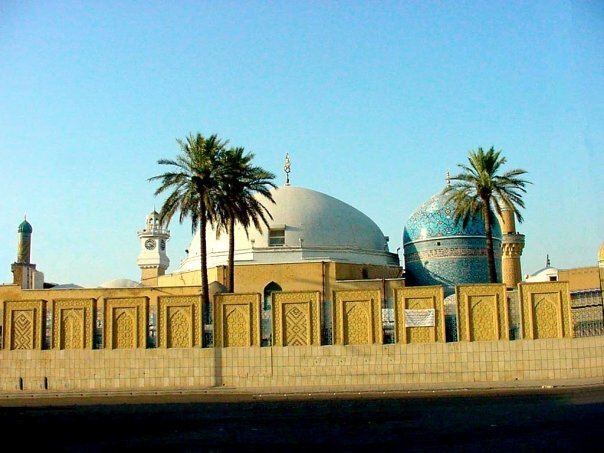 After completion of education, Hazrat Abdul Qadir Jilani ‎رضي الله عنه abandoned the city of Baghdad, and spent twenty-five years as a wanderer in the desert regions of Iraq as a recluse. He was over fifty years old by the time he returned to Baghdad, in AH 521 (AD 1127), and began to preach in public. His hearers were profoundly affected by the style and content of his lectures, and his reputation grew and spread through all sections of society. Not only Muslims, but also Jews and Christians, not only caliphs and viziers but also farmers, merchants and traders allegedly altered their lives in response to Abdul Qadir jilani’s ‎رضي الله عنه perorations. He moved into the school belonging to his old teacher al-Mukharrimii‎ رحمتہ اللہ علیہ, there he engaged himself in teaching. Soon he became popular with his pupils. In the morning he taught hadith and tafseer, and in the afternoon held discourse on mysticism and the virtues of the Qur’an. The number of students increased so much that the seminary could no more contain them. He, therefore, decided to extend the premises of the seminary. The students and the people willingly came forward with their wholehearted contributions. The campus buildings were ready in AH 528 and thereafter it came to be known as Madarsai-e-Qadriya. Hazrat Abdul Qadir Jilani ‎رضي الله عنه was a Non-Arab (ajami), so he wasn’t fluent in Arabic and was having some difficulties because of it. Once The Prophet Muhammad ‎صلى الله عليه و سلم came to him in a dream, before the time of the midday prayer (Zuhr), and he said to him: “O my dear son, why do you not speak out?” He replied: “O dear father, I am a Non-Arab man. How can I speak fluently in the classical Arabic language of Baghdad?” Holy Prophet said: “Just open your mouth!” He opened his mouth, and The Holy Prophet put his saliva seven times in his mouth. A few moments later, Hazrat Ali ibn Abi Talib ‎رضي الله عنه also came & did the same to him six times. And from that time, Hazrat Abdul Qadir Jilani ‎رضي الله عنه spoke classical Arabic language with fluency, his memory increased and he felt some great positive spiritual changes in him. Hence, I went to the ruins of ‘Karkh’ and followed the instructions of Huzoor Ghous-e-Azam ‎رضي الله عنه. During the silence of night, horrifying Jinns kept on passing outside my hisar. The faces of the Jinns were so horrifying that I could not look at them. At the time of sahari, the KING OF JINNS came on a horse back, there were Jinns surrounding him. He asked my demand from outside the hisar. I told him that Huzoor Ghous-e-Azam ‎رضي الله عنه has sent me to you. As soon as he heard this, he got down the horse and sat on the ground. The other Jinns too sat outside the hisar. All the Jinns start trembling (with fear) on hearing your name. Your Have that majestic awe ‘O, Ghous-e-Azam Dastgir.